Fantom is a revolutionary fan blade design based on a patented NASA technology. Our team has re-engineered this technology and applied it to the fan industry, achieving better energy efficiency and lower noise levels. Posturonic is an electronic posture coach that monitors the user’s musculoskeletal posture in real time. Inspired by a patented NASA technology, it coaches the person who’s wearing it to develop healthy posture habits. Lumoscope is a portable microscope with excellent magnification and picture quality. It is affordable, user-friendly, and aims at increasing interest in STEM education. 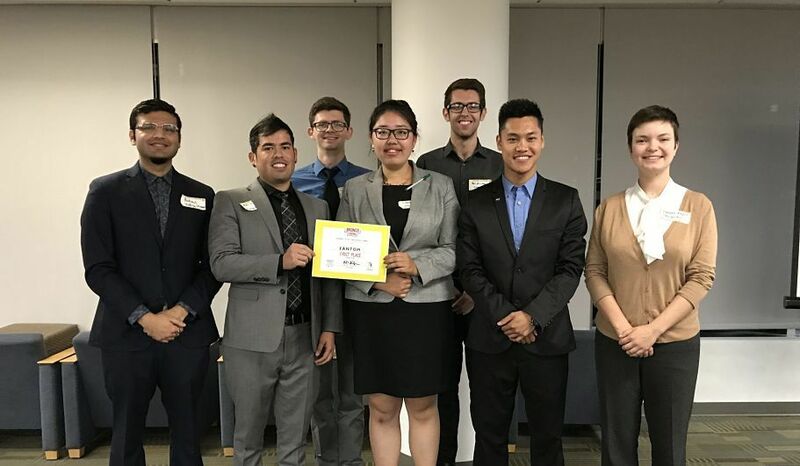 NASA-CPP is a business startup program, led by Cal Poly Pomona faculty. Here we create new products based on NASA Technologies and faculty inventions. Our main goal is to improve lives, one technology at a time. We want to give a second life for these wonderful technologies by creating new products that everyone can use. While doing that, we provide a unique multidisciplinary learning experience for our students. Our team brings together students from 5 different colleges and 12 different departments. This experience is highly valued in the job market. As a result, 100% our graduating students received job and/or internship offers at top organizations and got accepted to excellent PhD. programs.